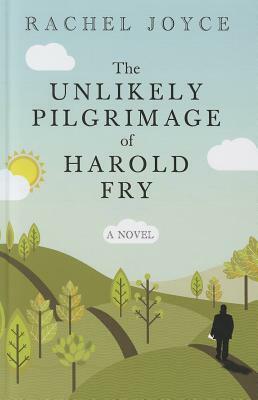 A novel of unsentimental charm, humor, and profound insight into the thoughts and feelings we all bury deep within our hearts, "The Unlikely Pilgrimage of Harold Fry" introduces Rachel Joyce as a wise--and utterly irresistible--storyteller. "When it seems almost too late, Harold Fry opens his battered heart and lets the world rush in. This funny, poignant story about an ordinary man on an extraordinary journey moved and inspired me." --Nancy Horan, author of "Loving Frank"
"There's tremendous heart in this debut novel by Rachel Joyce, as she probes questions that are as simple as they are profound: Can we begin to live again, and live truly, as ourselves, even in middle age, when all seems ruined? Can we believe in hope when hope seems to have abandoned us? I found myself laughing through tears, rooting for Harold at every step of his journey. I'm still rooting for him." --Paula McLain, author of "The Paris Wife"
"Marvelous I held my breath at his every blister and cramp, and felt as if by turning the pages, I might help his impossible quest succeed." --Helen Simonson, author of" Major Pettigrew's Last Stand"
"The odyssey of a simple man . . . original, subtle and touching." --Claire Tomalin, author of "Charles Dickens: A Life.